Last week I was meeting with a co-worker when he brought up a fairly controversial topic. There is a shortage of affordable single-family homes in hot markets, such as Seattle, due to zoning restrictions and real estate moguls impacting the market. These big shots ensure that new construction continues to be high-end homes, with price tags that are prohibitively expensive to newcomers. There’s an effort to lobby for more affordable housing, but this is being met with resistance. There’s an article on the subject published online at Politico Magazine, and it’s an interesting read. It’s titled, “My Generation is Never Going to Have That,” and as my co-worker and I discussed this sticky situation it reminded me of Magic. Sound familiar? While the article is talking about real estate, this could just as easily describe the current issue of disappearing Reserved List cards—especially dual lands and Power. This week, I’m going to dive into this controversial issue headfirst and attempt to share some objective perspectives from both sides of the debate. Perhaps there’s something from the real estate market history books we can use to predict the direction of MTG finance? Magic’s an old game—25 years old to be precise. I don’t know the age distribution of players, but I do know there are many players out there who are younger than the game itself. When you expand the population to include those who were infants or small children when Magic started, you have an even larger base of players who have never touched a piece of Power or a dual land. Now imagine a scenario where these younger players are watching Legacy coverage on Twitch. They see the amazing power of dual lands, Brainstorm, Force of Will, and The Tabernacle at Pendrell Vale. After watching hours of coverage, they decide that Legacy looks like a ton of fun, so they want to build a deck and get involved. This must be one of the most disheartening experiences for a young player. To want to play a really fun game, and then not being able to because prices are prohibitively high. Then they see some big shot like Rudy of Alpha Investments making videos where they have piles of these cards sitting around not being played. This is a brutal combination that can really strike an angry nerve for newer players. They look at these older, enfranchised players and they surely think to themselves, “you got yours, and now you don’t want anyone else to have theirs.” Many Legacy and Vintage players are in their 30s and 40s and have been enjoying these amazing formats for years or even decades. The older players have been around long enough to remember a time when dual lands were $15 and Power was $300. Because they started playing long ago, they can afford to sit on these four- and five-figure decks because their initial buy-in was much lower. But with recent buyouts and manipulation, it leaves newer players empty-handed. They want to enjoy some of the best formats in Magic but cannot. Much like new homebuyers in Seattle, millennials want access to the same opportunities in Magic. But the reality is, they are locked out. In the United States, it is a privilege and not a right to live in a large single-family home. Almost everyone would agree that every hard-working individual deserves a home and a feeling of safety within that home. But does everyone deserve a five-bedroom, three-bathroom house in a gated community? Probably not. So then why are these millennials so upset they can’t afford these million-dollar homes? If they can’t afford to live there, then they should live elsewhere. There are plenty of nice homes in other Seattle suburbs that are far less expensive and likely just as safe and perfectly sufficient. Does every newcomer need to start at the top? This is the other side of the coin in both real estate and Magic. Players who have been involved with Magic for many years have opportunistically amassed a valuable collection through intelligent acquisitions, stalwart dedication to their favorite game, and a bit of luck. Why should they sacrifice their enjoyment of the hobby? No one has a right to own a set of Power 9—this is a luxury good and should thus be treated as such. Just as there are plenty of affordable homes in other Seattle suburbs, there are also plenty of affordable ways to enjoy Magic. Every new player doesn’t have to play Legacy and Vintage—they can have a ton of fun playing Modern, Commander, Standard, Cube, Draft, and 101 other affordable formats. And if they want a kitchen table game where they can feel the exhilaration of casting a Black Lotus, can’t they just proxy the card? There are so few opportunities to play sanctioned Vintage nowadays that it really shouldn’t matter that the card is worth so much. In the current environment, Magic’s secondary market is unregulated and a thing from the Wild West. If someone has the resources to buy a ton of copies of a given card, there are no laws against it. People can do what they want with their money. And since we’re talking about a game here and not someone’s livelihood (food, shelter, water), how much does it really matter? Thus, the two sides of the debate are presented. I did my best to share both perspectives objectively. I’m sure I will anger some individuals with an insensitive remark, but understand I did my best to share two mindsets without presenting my own position. In reality, my position is irrelevant to the conversation. It’s an opinion like everyone else’s. What may be more relevant is an investigation of the real estate market’s history. If there is such a parallel between housing and Magic, then maybe we can extrapolate past events in the housing market to predict what may happen in the Reserved List Magic market. In my research, I came across this article, describing the Real Estate market in six charts. 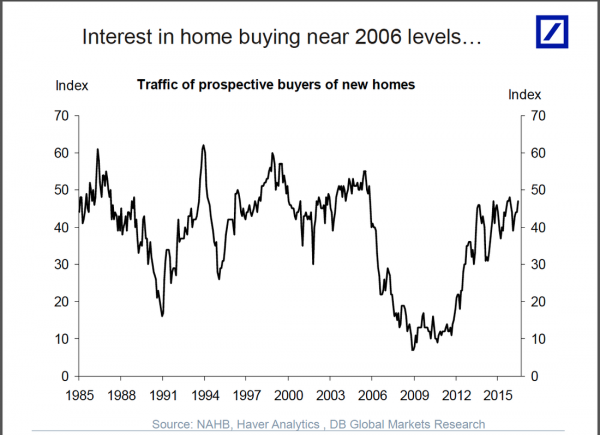 One such chart indicated interest in home buying. As you’d expect, the graph oscillates between peaks and valleys like most markets. During the Great Recession, interest hit a low. Currently we are approaching highs. This corresponds to home prices as well, which hit lows in 2009 and are now rebounding quite nicely in 2018. Is there a parallel curve in Magic? Of course! It’s not explicitly drawn or tracked, but I suspect there are some common themes. During the Great Recession, people probably had less expendable income and so interest in high-end Magic cards may have cooled off. And as the economy has rebounded, so has interest in investable cardboard. 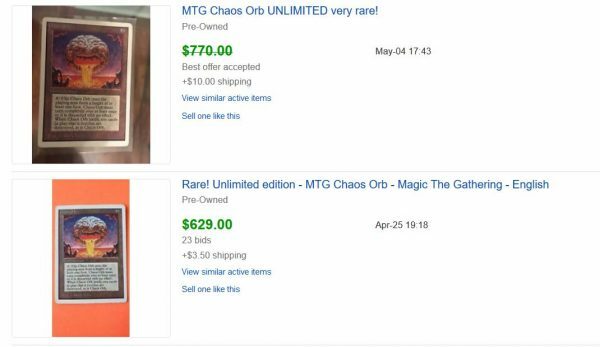 There are other confounding factors too, I’m sure, such as the popularity of Standard, the introduction (and sunset) of the Star City Games Legacy Open series, and the printing of various Masters sets. But I think we can all agree that the traffic of prospective buyers of Reserved List cards is quite high right now. 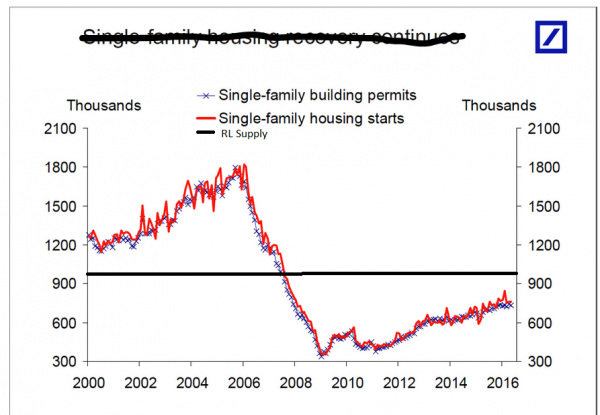 There may be a split between real estate and Magic in the next graph: the supply of new single-family homes. It’s no surprise to see this value tank in 2009—demand hit an all-time low so new supply also tanked to adjust to that market. Since then, the new supply has gradually risen. Unfortunately for prospective home buyers, the demand has outpaced the supply. 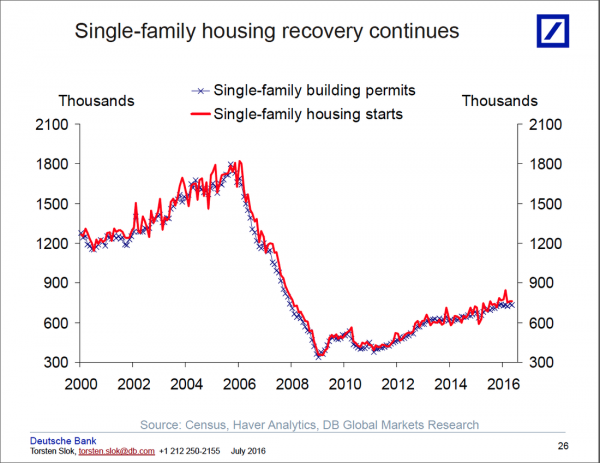 This has driven single-family home prices higher as discussed in the other article. But at least there is a gradual rise in the rate of new supply hitting the market. Presumably this trend will continue until an equilibrium is identified between new home buyers and new homes available to purchase. Want to know what this graph looks like for Reserved List cards? The magnitude is chosen arbitrarily, but the shape of the curve is accurate. Well, technically there were a few foil reprints of Reserved List cards, but you get the idea. The supply of dual lands, Power, and other key Reserved List cards has not changed in 20-25 years. You could even argue that the supply has dropped over the years as copies are destroyed, lost, etc. So we are operating in a world where demand for Reserved List cards oscillates and the supply remains flat. To me, this implicates a scenario where prices will fluctuate drastically with demand. Over time, as supply slowly drains, prices will steadily climb higher and higher. There will be short-term dips as demand dips, but the trajectory over a long time horizon will remain upward and to the right. It has to as long as there’s no systematic drop in demand. For now, the housing market can adjust to newfound demand with the building of new homes. In Magic this option is not available—thus in a market where demand for new houses and Reserved List cards move in tandem, price appreciation of Reserved List cards will outpace price appreciation of houses. Based on this assessment, I have some good news and some bad news for those trying to acquire Reserved List cards. The bad news is, as long as there cannot be new supply of these desirable cards, their prices will climb as long as the demand for them remains. Barring a collapse in the secondary market, there is no other possible outcome. The good news: at least we’re only talking about a card game. If the housing market had a Reserved List and new houses could not be built for some reason, the skyrocketing of home prices would be a huge issue. People deserve a roof over their head. It’s fortunate the home-building industry is gradually responding to the recent rise in demand; this market will slowly adjust. That can’t happen in the Reserved List Magic card market. But fortunately the roof is the necessity and the cards are the luxury. If it were reverse, we’d have much bigger issues! The good news may not offer much consolation to those who wish to play competitive Legacy and Vintage. But this is the current reality, so it’s all I can offer. I’m not making the rules—that’s all Hasbro and Wizards of the Coast—I can only respond to the rules accordingly. With an objective mindset, that’s all one really can do. In the meantime, let’s sit back and watch as things unfold. Dual land prices continue to rise, and buy prices have moved up in tandem. Tropical Island now buylists for $205 at Card Kingdom and Bayou buylists for $200—the third and fourth dual lands to crack the $200 mark. Scrubland is the next dual to break through the $100 market, now buylisting for $105. Eventually they’ll all buylist for over $100—it’s just a matter of time. Underworld Dreams from Legends has really moved lately. This took me by surprise. Now Card Kingdom is paying $49 on their buylist. This isn’t a Reserved List card. It’s just one of those original printing Old School-playable cards that sees steady demand. Let’s talk for a moment about Chaos Orb. Card Kingdom hasn’t adjusted their pricing to reflect recent market conditions yet. But one look at some completed eBay listings should give you a feel for what has happened. Played Unlimited copies are now selling for over $600 and nicer copies are breaking the $1000 barrier. I suspect there are some manipulative players in this market, so buyer beware. But if you want to play Old School, this is one of those auto-include in most decks and they’re just impossible to find nowadays. Personally, I’d rather spend this kind of money on Power. Very interesting article. Glad this article was unlocked, otherwise I may never have had a chance to read it.